The Plixi helmet costs about £60 ($95) and was made by Mr. Arrouart, a 40 year old engineer from Paris, France. Noticing that more and more people were using Velib bike sharing system in Paris like the Boris bike in London, lead to Arrouart’s study. He found the company Overade in December 2010 and started making prototypes that involved a design team who were responsible for the look and style of the products. The result turned out to be the helmet that takes hardly two or three seconds to be put away inside a bag. The helmet currently comes in only large/extra-large size that is 23.2 to 24.4 inches (59-62 cm), but there is a smaller version planned. Customization by the user can also be done. For instance, add-on covers or visors, etc. can be fitted on. They are available in a range of colors. 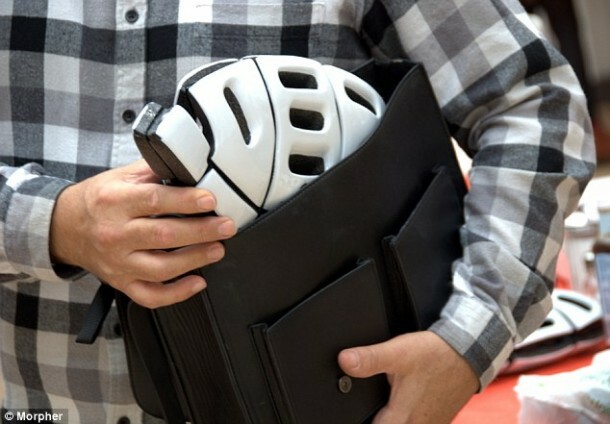 Plixi also fulfills the requirements of European certification for bike helmets, meaning it can also be used by road racers and BMX riders along with commuters and urban cyclists.